Season Ticket Packages are on sale now. 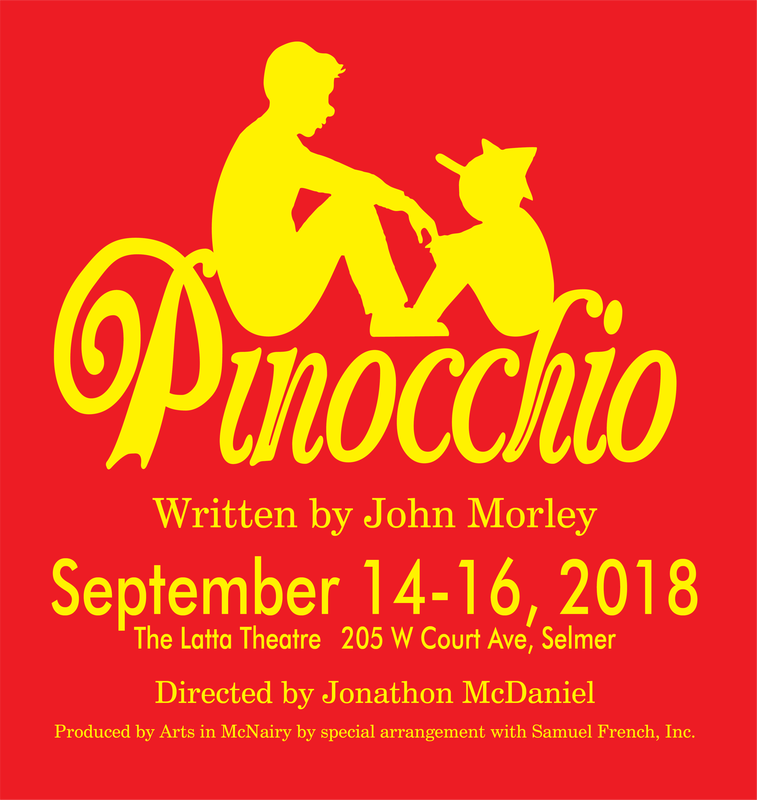 Season Ticket sales will close August 14, the opening night of our first show of the season, Pinocchio. Please choose a date to attend each show even if you're not sure what date you will be able to attend. Closer to showtime, you can call Arts in McNairy at 731-645-2671 to exchange your ticket date as you confirm your plans. The only date which is not flexible is the Dinner Theatre for February 8 as the Dinner Theatre is a one time event. Should you not be able to attend the Dinner Theatre on that date, call Arts in McNairy to discuss exchanging your Dinner Theatre ticket for tickets up to equal value. Upon your purchase, call Arts in McNairy to arrange delivery of your Season Ticket voucher. Before each show please call Arts in McNairy to confirm what date you will attend so we can ensure your admission. Box office opens an hour before each showtime. Online ticket sales open a month before each show. Online sales close at noon the day of opening night. This DOES NOT mean tickets are sold out. Tickets may still be available at the box office. Call 731-645-2671 to check on ticket availability. Online tickets are held at the box office as "Will Call" and may be redeemed at the box office. Box office opens an hour before showtime.